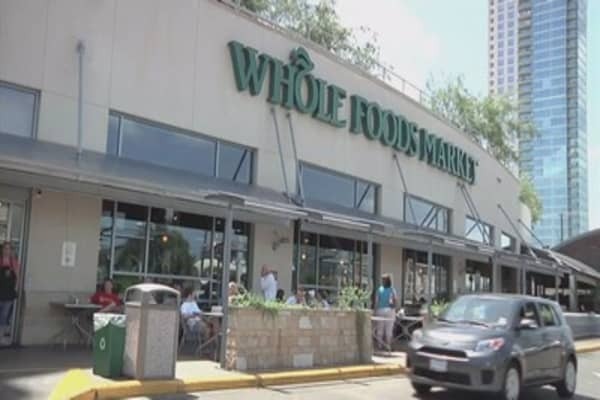 the natural and organic foods grocer said that comp sales in the fiscal first quarter ended Jan. 15 experienced some weakness around the election time and added that the current second quarter will be impacted by a calendar shift in Easter. The company’s second quarter also is expected to be impacted by the shift in Easter from Q2 last year to Q3 this year. Finally, the CEO said the competitive landscape continues to be “very dynamic” and added that there remains uncertainty about how long the deflationary environment will continue. As a result, he said the company was resetting comp guidance for the full fiscal year. “What has become clear is that we don’t want to compete in the race to the bottom as consumers have ever-increasing choices for how much and where they shop,” he said.